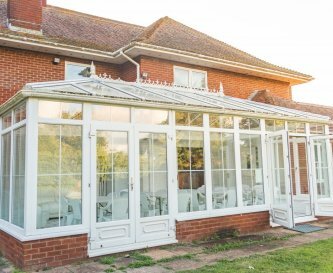 The Party Villa, Poole, near Bournemouth , sleeps 20-27 in 6 bedrooms. 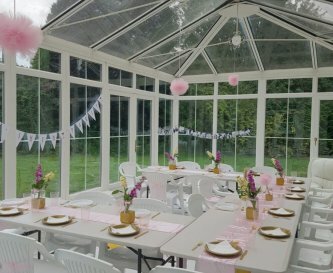 The Party Villa is a venue for well-behaved hen and stag party weekends or large family and friends gatherings with flexible accommodation to suit every requirement. 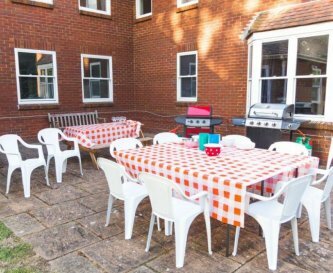 A long driveway gives parking for many cars and the garden offers a barbecue patio area with plenty of seating. 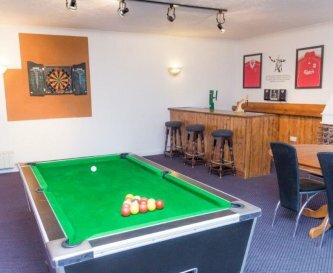 The massive ground floor open space includes an indoor wooden Swedish sauna for 6 people, a full-size snooker room and a separate sports room with an American pool table, a football table and darts board. 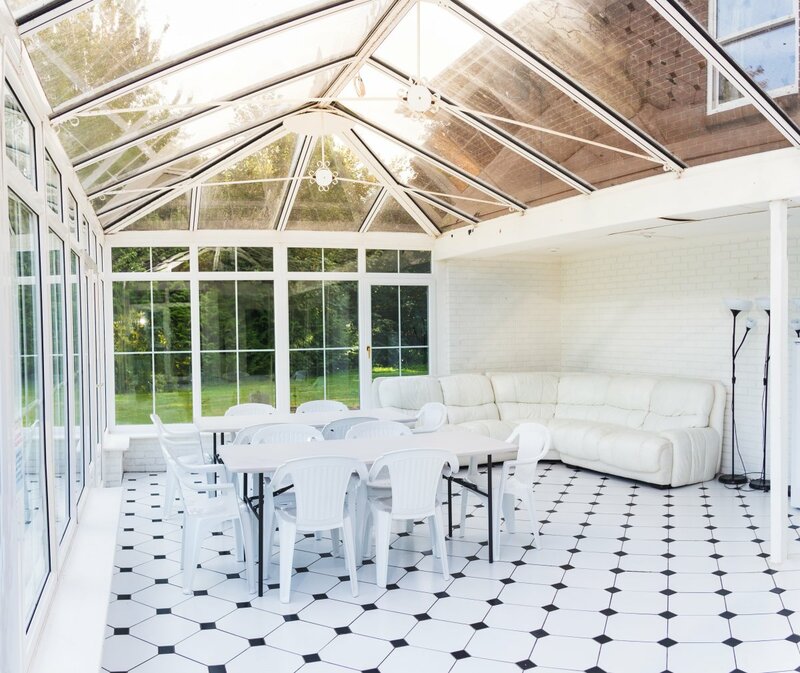 The huge sun lounge can be used for dining inside, whilst the party can spread into the hallway, the lounge, the inner dining area, the kitchen, the snooker room and the games room. 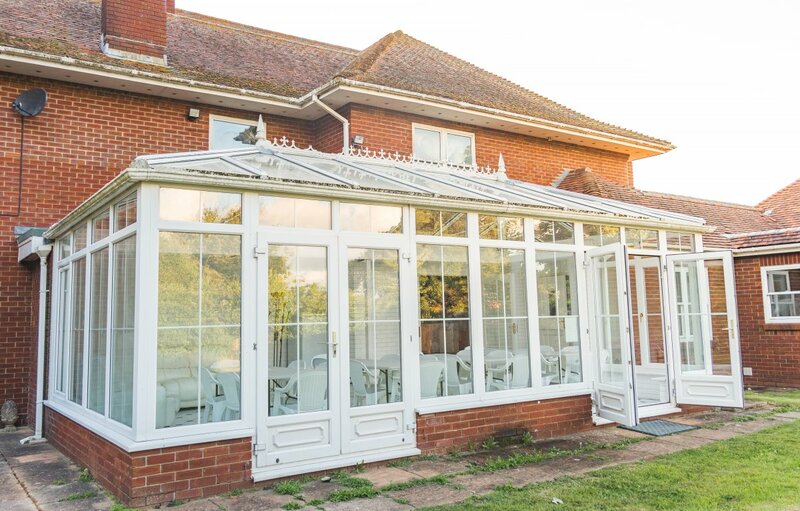 Both the sun lounge and main lounge have sliding doors that open into the rear garden to extend your space. 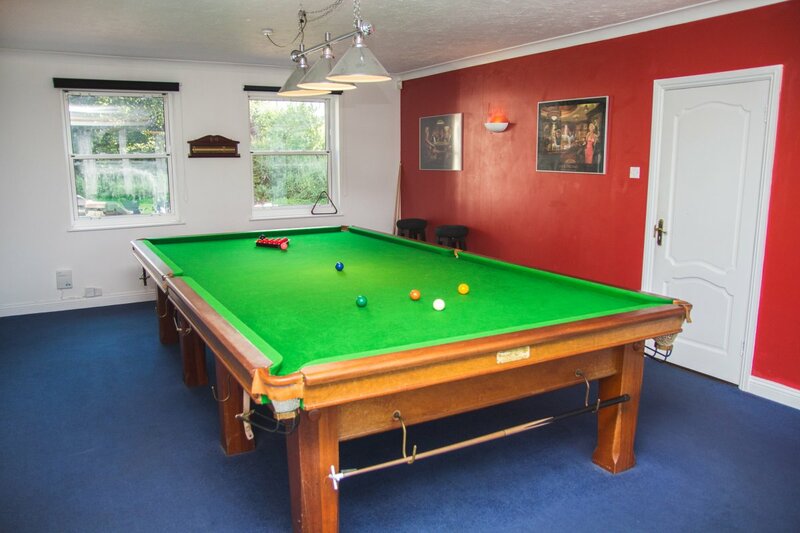 There are 50" televisions in the lounge and the games room to add to the entertainment options. 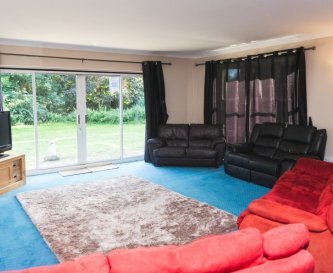 The property has the best Sky TV package, including Sports, Cinema, Box Sets and Children and there is free super-fast BT Broadband and WiFi. 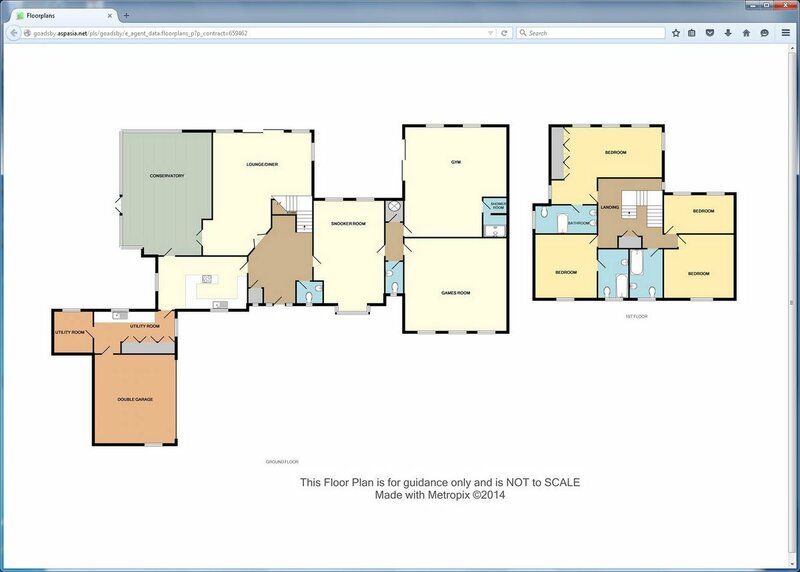 On the ground floor there are two bedrooms with a walk-in shower room and two ground floor toilets. 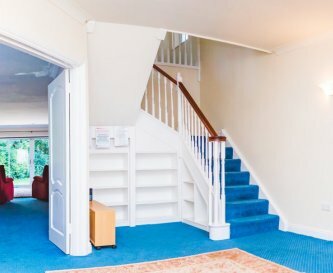 Upstairs, around the winding gallery staircase, there is a spacious landing with four further bedrooms, two with en suite bathrooms, and two further bedrooms sharing a third bathroom. 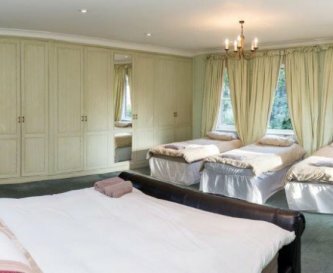 The bedrooms offer a good mix of double, single and bunk beds. 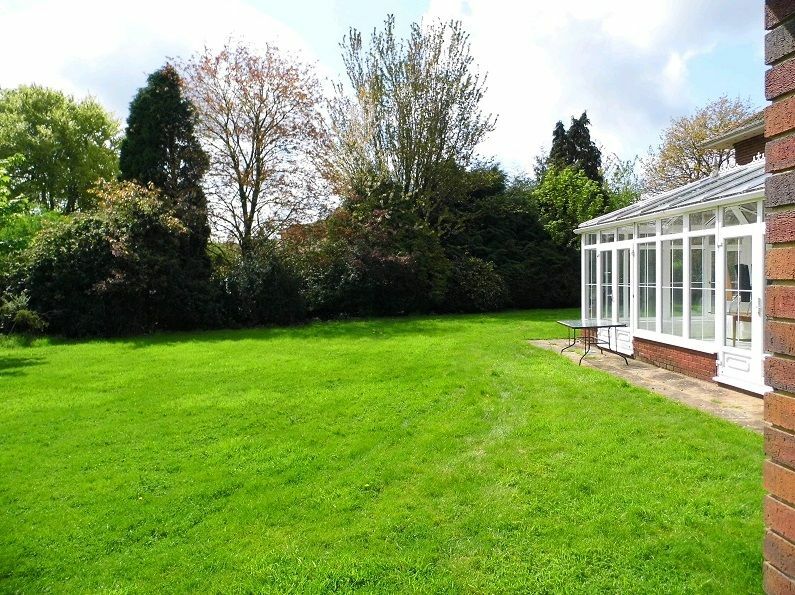 The property is just in the countryside, so it is private and peaceful with plenty of space. 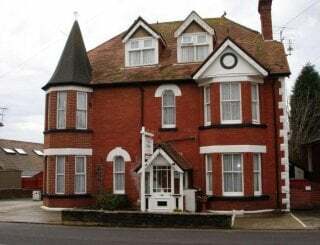 To get your group into Poole and Bournemouth, we can arrange mini-bus hire with your own chauffeur for the weekend, so you can save your licences and travel the area, anytime during the day or night. 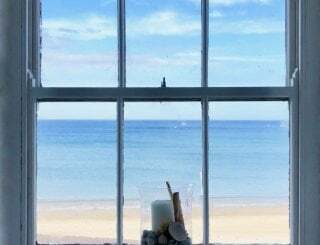 We can also help you to plan your weekend; for example, we can supply a private barbecue and breakfast chef, or arrange some group activities down on Bournemouth beach and in Poole Harbour. 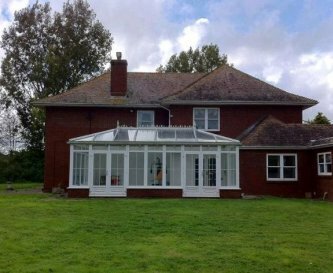 This is a privately owned property, and you are dealing direct with the owner, who is always keen to assist with your arrangements. The owner will make sure you get the best group pricing. 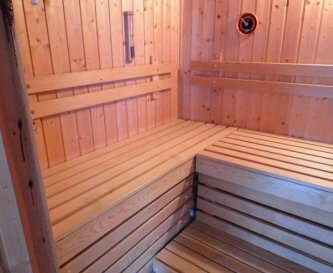 Rates do change depending on the season, the group size and the availability, so it is always worth making an inquiry. 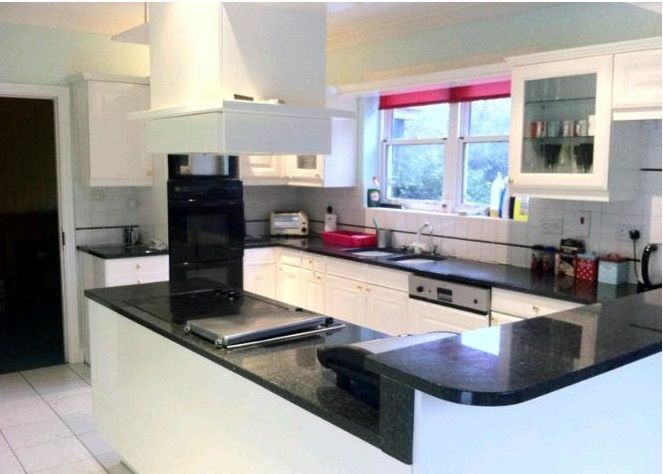 A modern kitchen with all the facilities and accessories to cater for a large group. 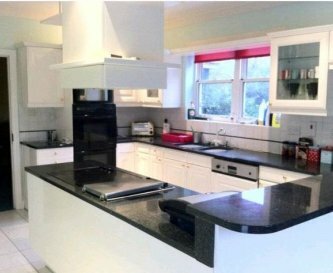 There are two large fridges and freezers. 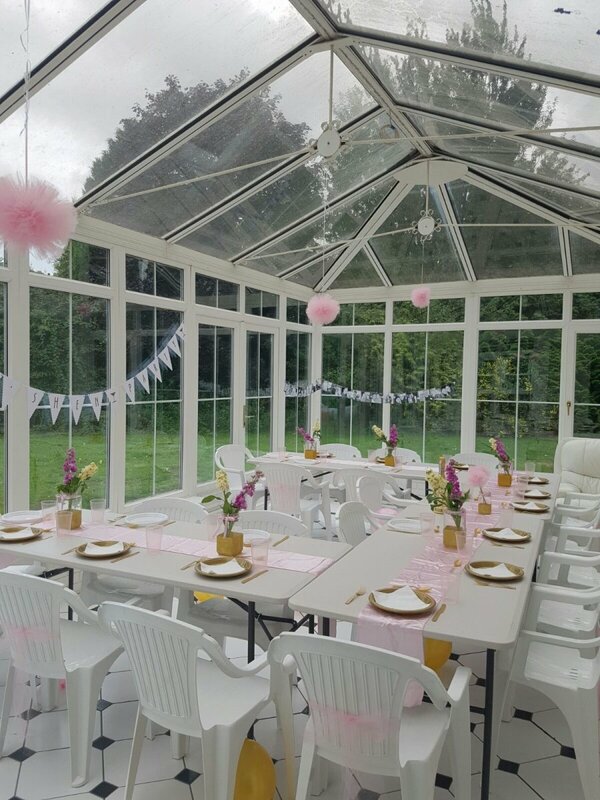 Main dining facility is the huge sun lounge which seats up to 30 guests along four rectangular tables, which can also be taken outside. 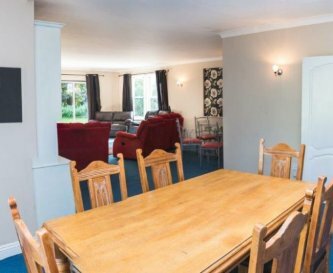 Lounge has four large sofas, a 50" Sky TV, a card table and a large oak dining table for board games and eating snacks from the joining kitchen. There is a new 50" TV in the lounge with a full Sky TV package, so you can indulge in Sports, Cinema, Music, Box Sets or the Childrens' channels. 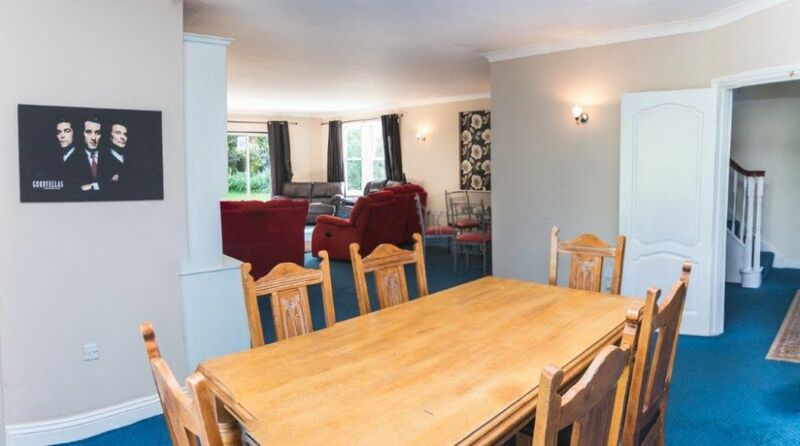 The property has the latest super-fast BT Broadband and powerful free WiFi, which extends through the whole house. 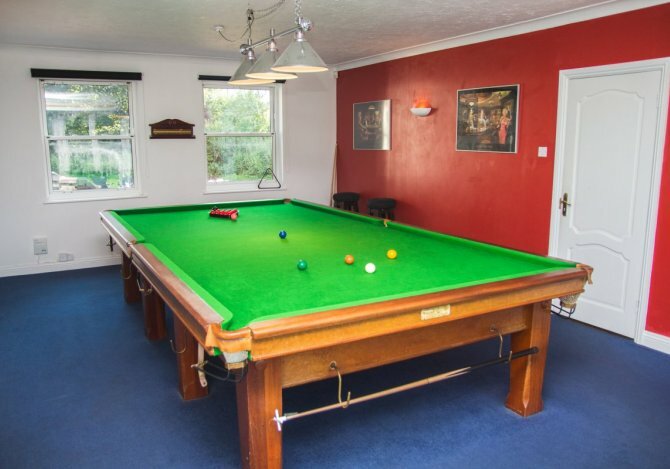 The games room leads on through the full-size snooker room, and has a bar area, an American pool table, a football table and a darts board. 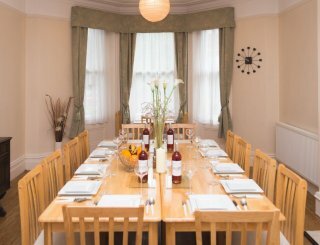 The property is very warm and cozy, with gas central heating and a gas fire in the lounge. 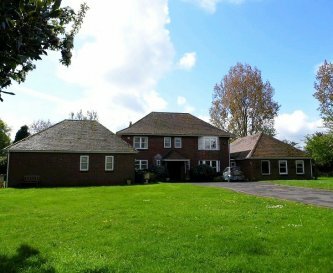 6 bedrooms, with two on the ground floor for easy access for the older group members. The bedrooms have a range of double, single and bunk beds. 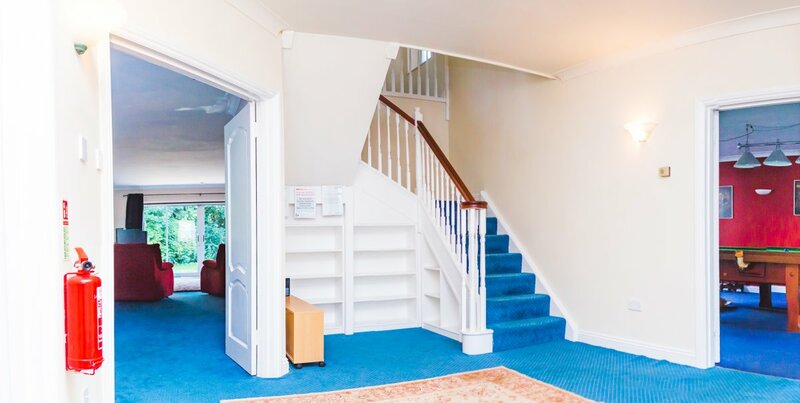 All beds are supplied with linen, duvets and pillows but the property does not supply hand or bath towels, so guests are reminded to bring their own. 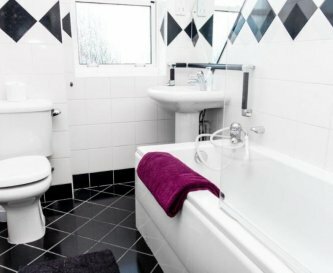 There is a shower room and two toilets on the ground floor. 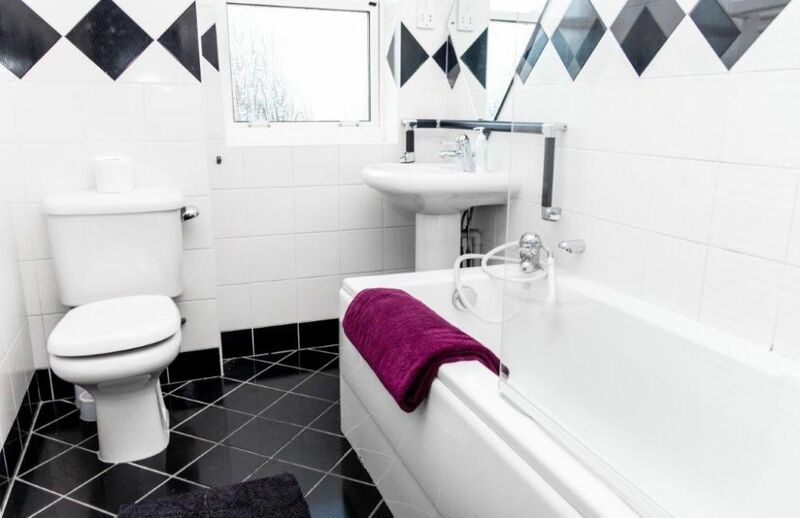 Upstairs, there is a family bathroom and two bedrooms have en suite bathrooms. 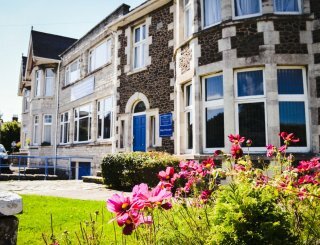 Accessible for wheelchair-bound guests, as the ground floor is flat with wide doorways, and with two bedrooms, shower room and toilet. 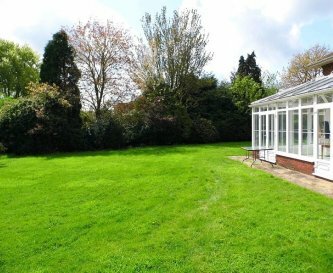 The property is away from the main road with a large secluded garden. 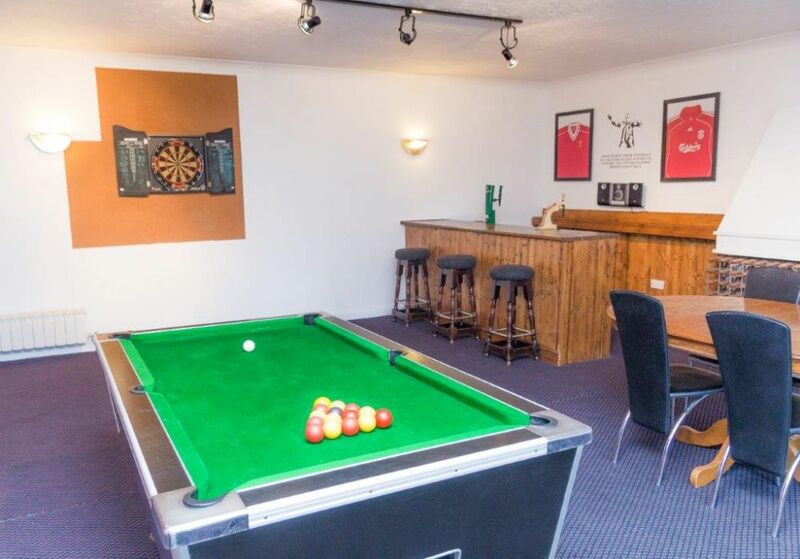 Full Sky TV, areas to play games and the games room for the teenagers. 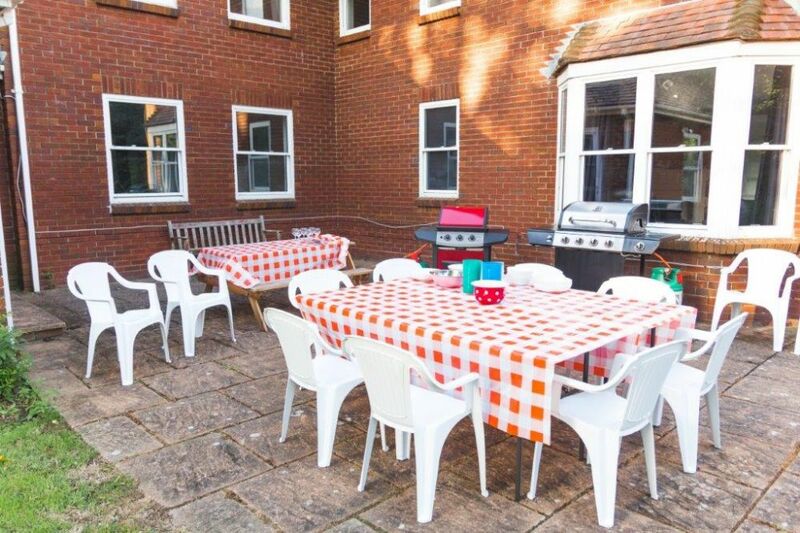 The property has a large front and rear garden with patio areas for barbecues and party games. There is not a swimming pool. 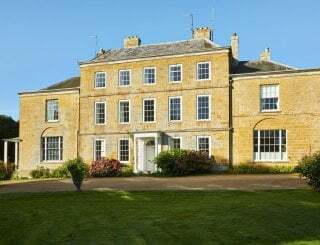 The entrance to the house is through gates and down a long private driveway, so there is free parking for many cars. There is no smoking and a nil-tolerance rule in the contract. 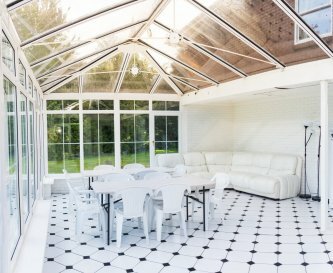 If a smell is apparent after the departure, then intense-cleaning costs are charged. 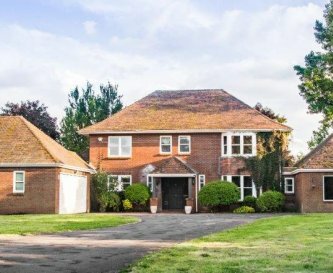 Family pets are considered to be allowed to stay in the property, upon formal request. Extra intense-cleaning costs are charged if required. 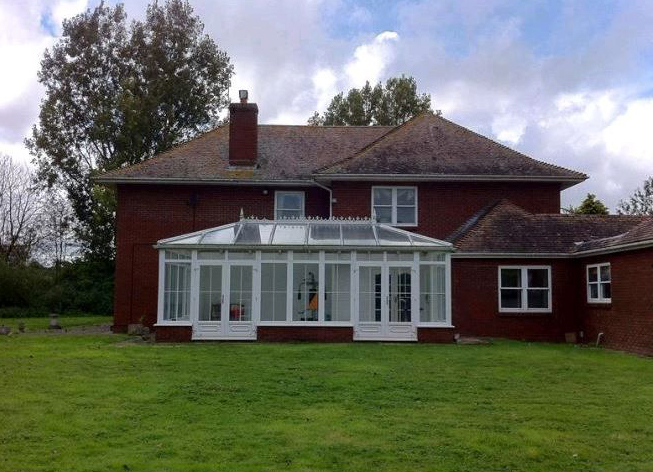 The Party Villa is 3 miles north of Poole, as you approach the countryside. 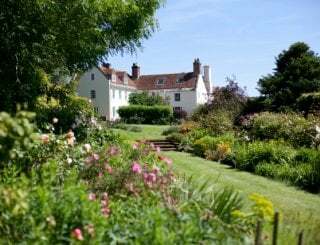 You can either head for the vibrant towns of Poole and Bournemouth or head for more rural Sturminster Marshall and Wimborne. 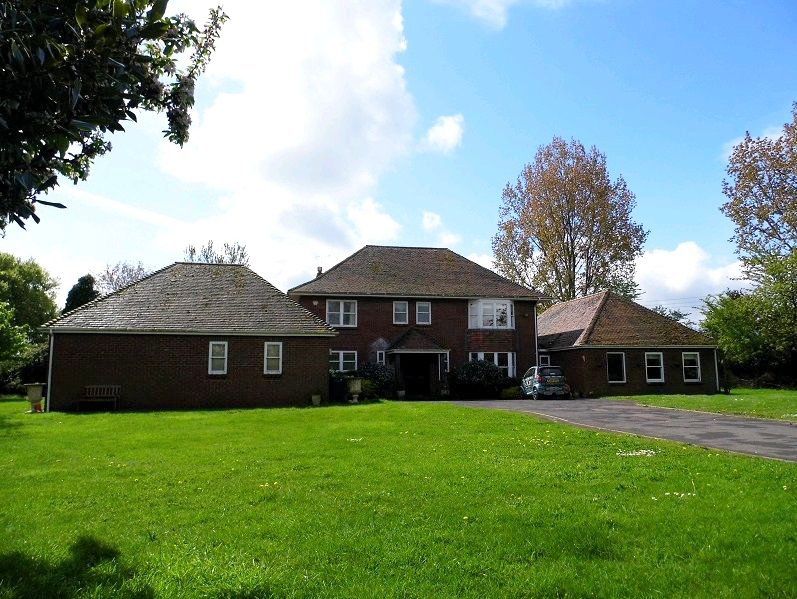 Sturminster Marshall Village is a 500 yard walk, to the local shop and the proper pub for fine food and ale. 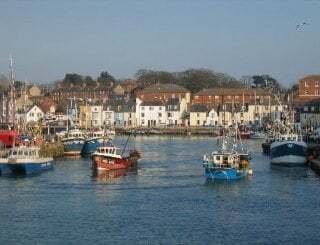 Or a short drive to Wimborne, Poole or the sunny beaches of Bournemouth. The local shop is a 500 yard walk, a modern Co-op with food, bakery, newsagents, off-licence and a chemist. 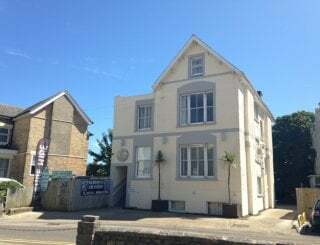 The Churchill Arms is a 500 yard walk, serving excellent food, wine, beer and local ales. You will be talking direct with the owner, so rates and arrangements are always negotiable. 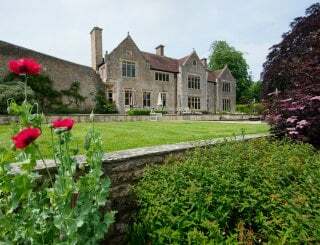 Your booking will usually include an early arrival and a late departure, at no extra cost, to help make the most of your event or holiday booking. There is also a local agent to assist with your party plans. There is a village bus stop and route directly into Poole or Wimborne.